Do you admire cuts that have been made accurately and in a neat manner? You can also be able to achieve the same if you love DIY projects. 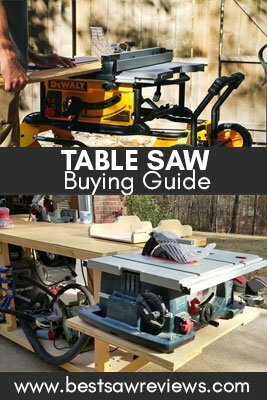 All you need to find is a tool and this does not mean that you should spend a fortune as I will demonstrate how to find the best table saw under 500 Dollars. There are so many benefits that you will draw from the best budget saw and the purpose of this guide is to ensure that you pick the right model. 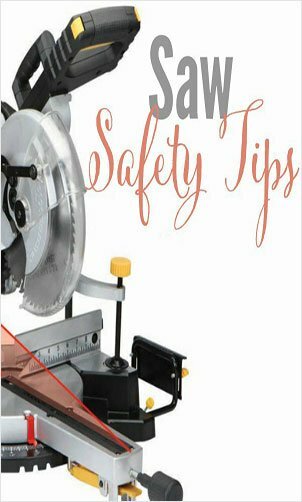 I will also discuss some of the safety tips and other factors that you will bear in mind to make it possible to get the best woodworking tools for the money. DEWALT is one of the manufacturers that have a good reputation when it comes to high quality tools. The DEWALT DWE7480 is not an exception and has been made to meet and surpass the expectations of the users. It comes with a site pro modular guarding system, which makes it possible to make precise cuts. The 15 amp motor gives the tool the power that it needs to cut and rip through your stock, without compromising on the accuracy. Most people love this tool due to the compact design, which makes it easy to carry and use, even where there is limited space. The 2 ¼ dust collection port on the DEWALT table saw DWE7480 allows you to collect the sawdust when you are making the cuts. You can use a standard vacuum to extract the dust. The rip capacity of this model is 24 ½ inches and as such, you can conveniently use it to cut and trim shelve materials. The DEWALT 7480 has a pinion and rack system, with telescoping abilities. This makes the adjustments much easier and gives you accurate cuts. The DEWALT 10 saw comes with a steel cage that gives sufficient protection. There is a 24 tooth carbide blade that can easily be adjusted up to 45 degrees. This is one of the models that is known to come with durable blades, which will serve you for a very long time. This is an economical tool as it comes with all the accessories that are needed for making cuts. The DEWALT DWE7480 models have all the accessories that one needs including a blade guard, miter gauge, and a push stick. With the rack and pinion fence system, it is very easy to adjust the fence on DEWALT DWE7480. The fence system has telescoping abilities that will allow monitoring the process and as such, you can make accurate cuts. 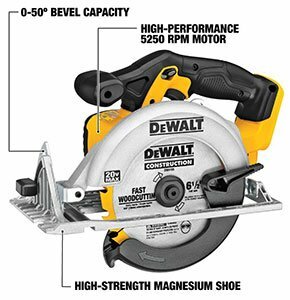 The DEWALT 7480 has a 24 ½ inches rip capacity, which allows you to make cuts even on very large stock. There are adjustable feet on the rear side of the DEWALT 10 table saw, which will reduce friction and make it an ideal choice for rough surfaces. This Ridgid portable tool has been reconditioned by the manufacturer and has been introduced to the market as a superior model. Some of the concerns that were raised by users in the pasts have all been taken into account to refurbish this tool. The saw comes with a mobile stand, which makes it truly portable and quite convenient for people who have to move from one point to another. The 15 amp 10 inch motor is powerful enough to make the Ridgid table saw ZRR4513 cut through different materials. There is a sight barrier feature on this job site saw. This is one of the features that enhance accuracy in that it will help you to remain focused at all times and this results in accurate cuts at all times. Fortunately, when you buy this model, it will come with all the features that will facilitate the process of cutting boards accurately. In addition, it loaded with all the accessories that you will need to accomplish the cutting tasks. It also has a hand wheel that has been included on the front part and this will make the process of adjusting the blade much easier. The retractable handle is also a convenient feature as you can easily push it out of your way. The blade action is triggered by the knob. With all these amazing features, this stands out as the best choice. The Ridgid ZRR4513 has an Ind-I-Cut alignment disk on a writeable surface which will make it easier to align the cut line with the blade kerf accurately. 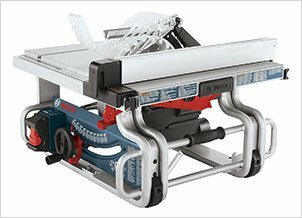 This Ridgid portable model has a Retract-A Rip system, which is an extendable table that is tool-free. With this, you can be able to get a rip capacity of 25 inches. The micro bevel adjustment is also another incredible feature as it allows you to make accurate adjustments to achieve precise bevels. 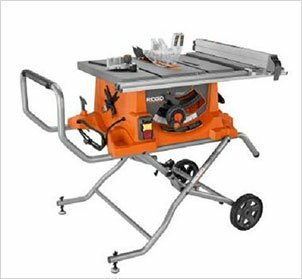 This Portable Job site table saw comes with a 15 amp heavy duty motor, which will give you enough power to make even the most difficult cuts. The innovative internal rip fence that is able to maintain the alignment and protects the fence when not in use is another feature that makes this rank as the best saw. The DEWALT DW7440RS is another tool from DeWalt and does not disappoint as well. It has a very light weight of 22 kilograms and as such, you can carry it from one point to another. The steel roll cage protects it from any damage even if it was to bump into a hard surface. The optimized footprint is another feature that will impress you as it provides additional stability and it does not wobble when in use. The rack and pinion fence mechanism will make the process of adjusting the tool much easier. The overload protection system on DEWALT saw with stand is meant to protect the unit when it used on tough applications. The 1850W motor is also responsible for the amazing power output that it generates. This is a model that has taken issues of stability quite serious and that is why a rolling stand has been included. The maximum rip capacity is 20 inches when using the 10-inch blade. This is one of the tools that you can be sure will not disappoint when you need accurate cuts. 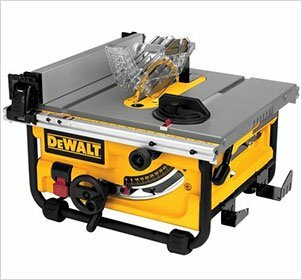 It has a DEWALT DW7440RS rolling saw stand and all the accessories that make it possible to use the table saw. Some of the key accessories include the parallel fence, push stick, blade spanner and miter fence among others. The bevel lock is responsible for ensuring that all the adjustments are accurate and align with the blade to make accurate cuts. The dust port will take in all the debris that is generated during the cutting process and this will give you good visibility as the working area is always clean. The DEWALT DW7440RS model comes with a steel roll cage to protect it from any damage. There is also an overload protection unit incorporated. 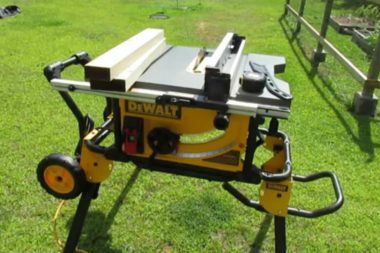 The rack and pinion fence mechanism on the DEWALT DW7440RS rolling saw stand makes the process of adjusting the fence much easier. The tool is portable as it only weighs 22kgs, but has an optimized footprint to enhance stability. The rolling stand gives you a stable working surface and will ensure that all the cuts that are made are precise. The DEWALT saw with stand has stand brackets that will make it easier to connect the saw to the stand. The Bosch GTS1031 is a portable tool and as such, you can make use of it if you need to move from one jobsite to another. The amazing features that have been included are practical and will enhance the functionality. In addition, it has a miter gauge, 24 tooth carbide blade, rip fence, push stick and all the required wrenches. The Bosch saw has a cabinet design as the base and this can be used for storage purposes, where all the accessories and other tools can be stored. 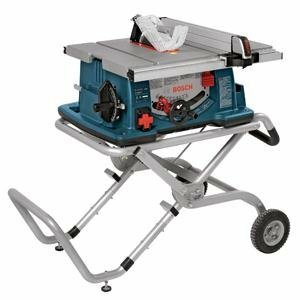 With an ideal weight of 52 pounds, this is a great Bosch portable table saw that you can easily carry around alone. The single handle comes with a soft and ergonomic grip that makes it easy to carry the tool. There are also handles on the sides that come in handy when you need to set up on a platform or load it on a carrier truck. When using the tool, you can count on the stacks at the base to provide you with excellent stability. As for the durability, the Bosch job site table is quite durable as it is made of an all-steel base. This makes it strong enough and will also last for a very long time. There is a SquareLock rip fence that will enhance your accuracy and in turn, reduce wastage. The Smart Guard innovative blade system is also suitable for those who want to achieve accurate cuts in fast and easily. This saw has a rip capacity of 18 inches and as such, you can be able to make cuts on boards of different sizes. Bosch GTS1031 has stacks on the base and this provides great balance and stability when using or transporting it. SquareLock rip fence on the Bosch saw will grant you accurate and true cutting with the help of the Smart Guard feature. There is an on-tool storage cabinet that is underneath, which can be used for purposes of storing all your tools and accessories. This the best Bosch portable tool with an overall weight of 52 pounds, but it is quite powerful with a rip capacity of 18 inches. The Bosch job site table saw has an all-steel base construction, which makes it strong enough and quite durable. The Skilsaw SPT70WT 01 has the amazing ability to cut through a full plywood with ease. The worm drive mechanism is legendary and this is what gives the saw the great power and allows it to achieve maximum torque. This is a portable model and has a 15 amp motor, which is the dual field and as such, you will be able to accomplish voluminous tasks when using this table was. The motor will work for a long period and even help in cutting tough applications while remaining cool at all times. The Skilsaw saw has a rip capacity of 25 inches and as such, this will allow you to rip through larger pieces of stock. The depth cut is 3 ½ inches and this is also sufficient when you have very thick boards. The good news is that you do not have to align it as the fence has been designed in such a manner that it will align itself when you are making your cuts. The bevel can be adjusted between 1 and 46 degrees to accommodate as many cuts as possible. 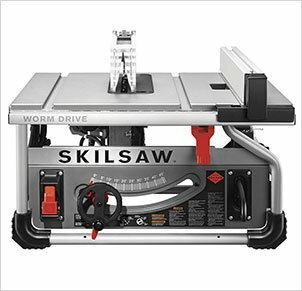 The Skilsaw worm drive table saw comes with a number of essential accessories including wrenches, miter gauge, insert plate and a 24 tooth carbide tipped blade. The motor is able to spin at speed of 5300 rotations per minute, giving enough power to cut through materials with so much ease. The saw is made of a steel roll cage and a die cast aluminum top, which makes it strong and durable. It is very light as it weighs 49 pounds. The Skilsaw SPT70WT 01 has a rip capacity of 25 inches and the depth cutting ability of 3 ½ inches. This is one of the tools that have a rip fence that aligns itself and this facilitates accurate cuts. The worm drive gear system is what gives this tool the maximum power and optimum torque. 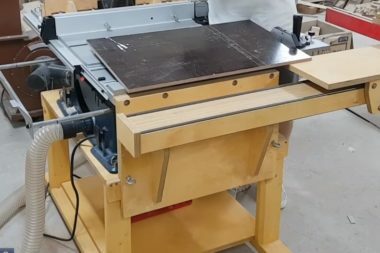 The 15 amp dual field motor on the Skilsaw worm drive table saw is designed in such a manner that it can work for extended periods without overheating. When you are looking for a tool for home use, go for a model that is easy to use. It needs to have very clear functions and the setup process should be much easier. Having a complex one does not necessarily mean that it will be the best option to serve your needs. Take time to evaluate all the features that the quality saw has. In addition to the basic features that enhance functionality, consider the safety features as well so as to prevent accidents. Some of the safety features to go for include flesh detection, anti-kickback and so on. 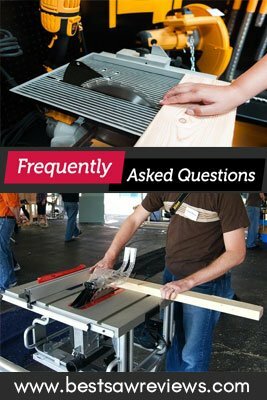 Do not just look for the best table saw for the money and forget the amount of space that you have in your shop or home. The space available will mainly determine the size of the tool to go for. You should also consider the type of stock that you intend to cut so as to pick the one that has such capacities. Check the capacity of the motor as well as the rip and depth capacities of the saw. You will want a one that is able to meet your needs effectively, without compromising on the quality of cuts. When shopping for a high-quality saw, it is important to have a budget in mind. This will help you narrow down to the options that are available for you. Compare different models within the price range and then pick the one that has the features that you are looking for. Visibility is critical when working with the saw. One of the ways to ensure that you have great visibility is by ensuring that the working area is always clean and clear of all the debris and offcuts. Before turning on the saw, ensure that you have checked all the safety features. This is to ascertain that all of them are working as expected so as to prevent any incidents. Do not come to the workshop in loose clothing as they might easily be caught by the blade. Instead, ensure that you have protective clothing at all times so as to enhance your safety when working with the saw. Inspect the stock before feeding it to the blade for any foreign objects. This is one of the reasons why the saw may kickback when the blade gets in touch with an object. Use the right accessories for your safety like miter gauges, push devices, insert plates and so on when working with the tool. In the event that you have to make any adjustments, ensure that the blade is at a complete stop and also disconnect it from the power source. It is also advisable to locate the emergency switch button so that you can easily reach it in the event of an accident. 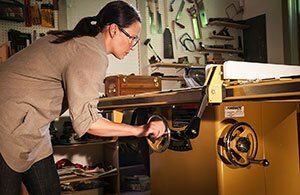 Keep a good body balance and posture when you are working with the best table saw for home use. You should not stand in front when you are making cuts as this may result in serious injuries when there is a kickback. These are some of the safety tips that I believe would go a long way in ensuring that you are enjoying maximum safety when working with your power tool. Always refer to the owner’s manual so as to get the best results with the saw. Q: What is the kickback? A: A kickback happens when the stock is caught in between the fence and the blade and this forces it to be lifted off the table. This happens when the back side of the blade is pinched inside the kerf. This can be quite risky if you are standing on the wrong side of the table saw. Q: Which saw should I buy? A: The type of tool you will buy will be determined by a number of things. The main consideration would be the purpose as well as the budget that you have in mind. Q: How high should the blade be? A: Most experts recommend that the height of the blade should be at most 1/8 inches above the cutting surface. However, there are manufacturers who recommend the blade rising to the bottom of the gullet. A: Start by removing rust using mineral spirits and steel wool. Wipe the surface with a clean cloth. If there are parts to be lubricated, use dry lubricants like graphite. Q: What safety features should I have? A: Some safety features to look out for include flesh detection, emergency power button and anti-kickback. With the reviews and the other factors that I have highlighted in this guide, I believe that you should be in a position to pick the right model. 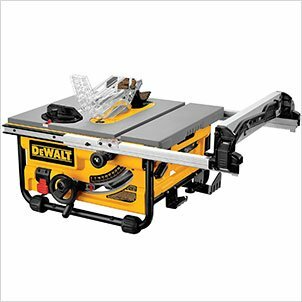 Considering a number of factors, I recommend the DEWALT DWE7480 10-Inch Compact Job Site saw with Site-Pro Modular Guarding System as the best table saw under 500 Dollars. This is quite a comprehensive model and has a wide range of features that will be of great use. If this guide has been of help to you, please feel free to share it with your friends and loved ones.